Further updates: The separation went great, and the lander is on its way to the comet. 09:06 GMT. Philae is now on its way to the Rosetta comet, everybody is glad that it worked flawlessly. There are still many more crucial moments (the most important one a few hours from now), but so far, everything is just fine. 09:04 GMT. Success! The separation appears to have been successful. 09:00 GMT. We are just moments away from finding out if the separation was successful! 08:44 GMT. The separation has already taken place… hopefully. However, there’s no way for us to know until the signal reaches Earth. At t he moment, several astronomers are discussing the project on the stream. 08:39 GMT. In case you would like to send comments or questions to the people working at the ESA, use: #cometlanding. 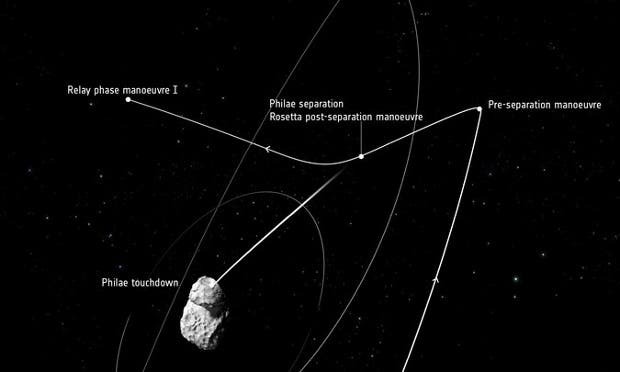 The Rosetta is currently working on its ‘pre-separation manoeuvre’. This is a thruster burn to place it on course for the separation point, when it will release Philae. There are, however, significant problems. The cold gas thruster seems to not work properly, and without the thruster, the risk of Philae bouncing off the surface of the comet has increased. However, all other devices are working properly, so the team decided to go ahead and rely on three screws and two harpoons to drill the legs to the surface of the comet. 08:34 GMT. Overnight, there have been two more go/nogo decisions. 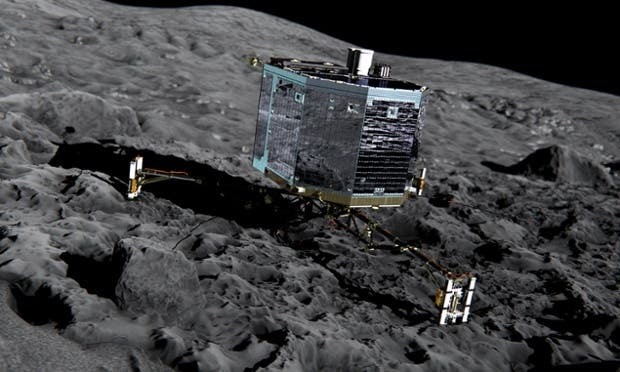 Both were ‘go’ but the Philae lander team needed an additional hour before they confirmed that they were indeed ‘good to go’. Right now, we are at a point of no going back, and as I am writing this, we will see the separation about 30 minutes from now. Well, actually, it is happening NOW, but because the distance between Earth and the comet is so large, it will take the signal almost 30 minutes to reach Earth. 08:20 GMT. It’s a very risky mission, landing something on a comet. It’s the first time something like this has been attempted. Artistic depiction of Philae landing on the comet. Image credits: ESA.